Two House committees held a joint hearing today to explore how scientific research at universities can be commercialized for the benefit of businesses and the state economy. They heard testimony from the state's leading research universities. Though academia has long prized research for its own sake, two House committees on Wednesday heard from the state’s leading research universities on how their scientific research makes money and contributes to the state economy. Speaker Joe Straus tasked the House Committee on Higher Education and the House Committee on Economic and Small Business Development with identifying ways to increase partnership between business and research institutions for the benefit of the state economy. Testimony centered on how to commercialize scientific research conducted at universities. Though the hearing produced little in the way of specific policy proposals, professors and administrators from the University of Texas at Austin and Rice University, among others, informed lawmakers of their efforts at commercialization. 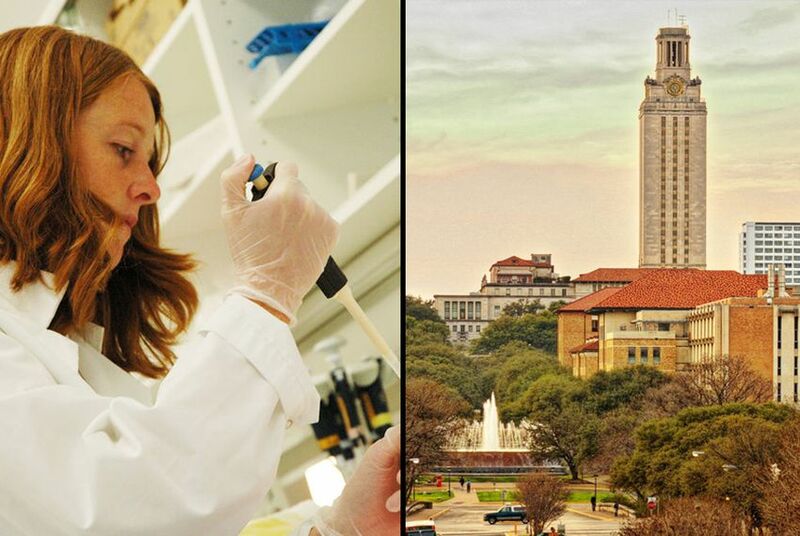 James W. McGinity, a UT-Austin pharmacy professor, said research conducted at the College of Pharmacy has helped launch companies, such as PharmaForm, Enavail and DisperSol Technologies. George McLendon, provost of Rice, spoke in support of the Cancer Prevention and Research Institute of Texas, a state-funded initiative to advance cancer research. McLendon urged lawmakers to continue funding the institute, which he said has helped lure leading scientists from other states. On Tuesday, the higher-education committee held a hearing on ways to improve the state’s manufacturing capability. Leaders from universities, businesses and state agencies spoke of the importance of partnerships between higher-education institutions and the manufacturing industry. Some of those invited to testify stressed the importance of associate degrees, particularly in the STEM fields — science, technology, engineering and math — in aligning the skills of students with the needs of businesses such as Dow Chemical and Caterpillar, whose representatives spoke before the committee. Associate degrees in STEM fields earn graduates higher salaries than bachelor’s degrees in liberal arts, said Mike Reeser, chancellor of the Texas State Technical College System.